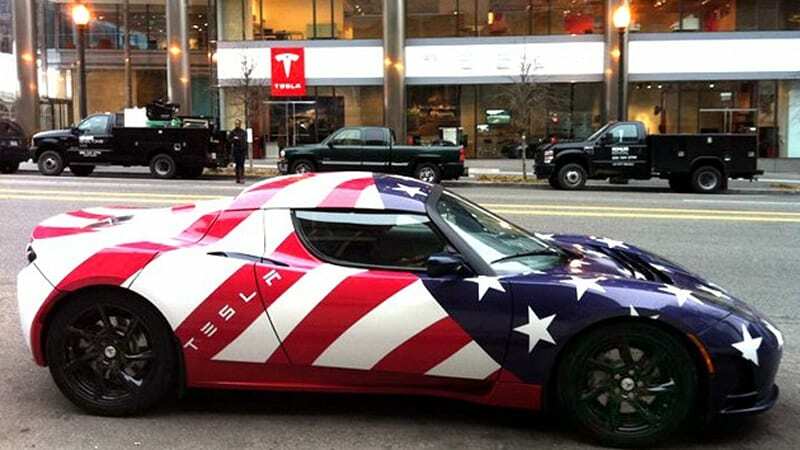 How does somebody put together a list of the most American made cars and completely fail to mention Tesla? Cars.com 2018 American-Made Index: What's the Most American Car? They probably assumed it was a European car.. So... I guess what they did is pick some cutoff percentage of parts to consider it American. Require final assembly to be in America. And then pick the companies that made the *most* of those. With 3 production ramping up, Tesla should show up next year. I read the selection criteria and Tesla met all the requirements. It looks like they just forgot it because...well, is it really a "American" if it doesn't burn petrol? Tesla meets the requirements, but they don't yet make more 3s than, say, Jeep makes Cherokees. That's why they're not yet on the list. If they required >50% American content, then Tesla would have the only cars on that list. Tesla is listed with the Model S as number 8 with an index of 77.5, the Model X as 12 with a 75 index, and the Model 3 tied for 12 with an index of 75 also. EDIT - I note on my Model 3 that the Monroney sticker parts content is listed as 50% USA/Canadian and 25% Mexico. The most cited and best researched index of U.S. automobile content is American University's Kogod School of Business listing. Kogod uses not just the place of manufacture of each part, but a seven category methodology. Strange that they appear to count Canada as U.S., but not Mexico. I guess this is because the automakers only have to report a combined US/Canadian content, while Mexico is reported separately? Also interesting is that they have already added the Model 3 SR to the list at #16 whereas LR is #12. I guess they assumed content is the same except for the smaller battery? Being that parts content is measured by cost of parts, the cheaper battery made at GF1 in Nevada dropped the US/Canadian content from 50% to 45%. WHAT!!!? I thought Canada was a state! Your guess makes sense. Given Canada's close ties in manufacturing, and similar wage structure to the U.S., they probably don't make a distinction in location.